Close up of female caucasian hands isolated at blue sea and sky background. 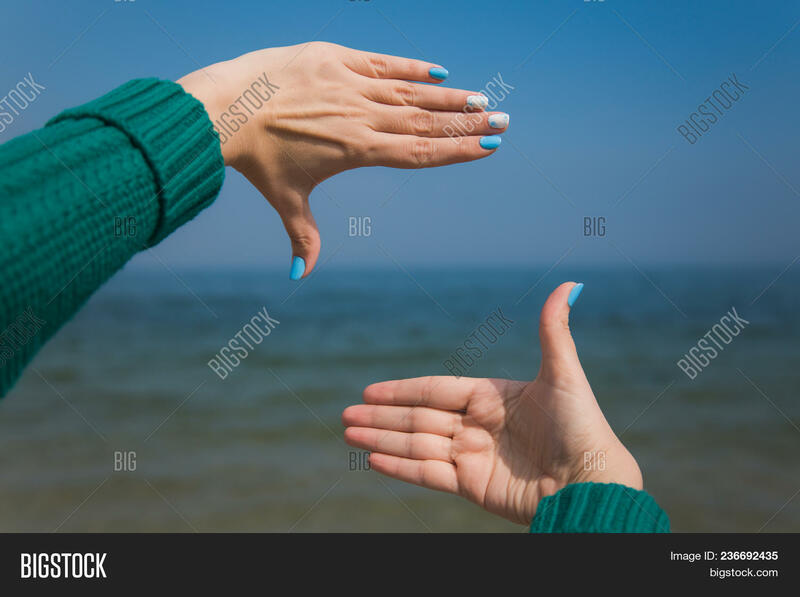 Young woman forms frame with her two hands as if looking at something virtual and invisible in distance. Point of view shot.